One of the great errors of history is ongoing underestimation of the extent of travel by our forebears. Seas are not just barriers, they are also great highways. 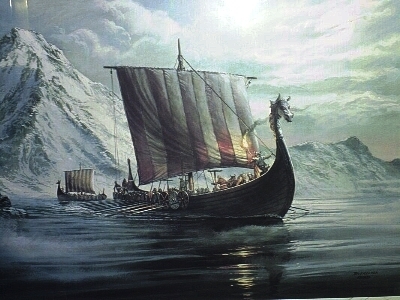 Consider that 1,000 years ago the Vikings could travel 100 miles per 24/hr day with ease in their funny boats. Open any large and detailed world atlas and see how far you can travel throughout NW Europe from Oslo, Norway and never be out of sight of land. (Assume up to 50 miles visibility from the top of your mast to the hilltops on shore.) You will be amazed by this an eye opening experience! Now plan your trip from Oslo to Dublin, Ireland and the many other islands of NW Europe. Nothing to it! Next, assume you feel very confident and are willing to explore up to one days travel away from land (that's 100 miles between landfalls). See how easily you can hop from island to island across the Atlantic Ocean via Iceland and Greenland. 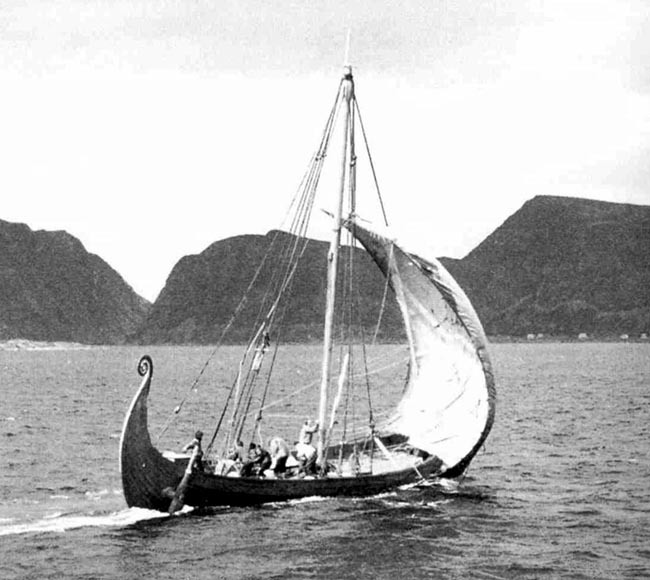 We know the Vikings did travel from Norway to North America. Many times. 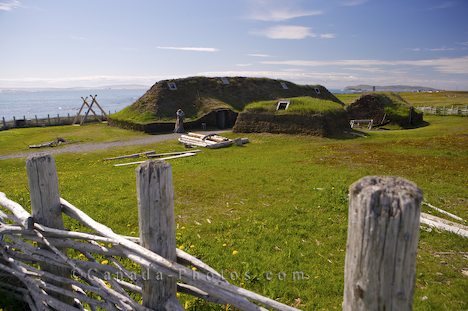 And they established a colony at L'Anse aux Meadows in Newfoundland. In the other direction, the Silk Road to China was doing a roaring good business now and Rome was a key western terminus. 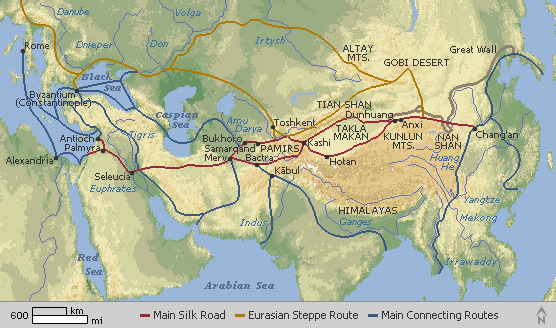 Silk Road travel began before Christ and continued to grow and thrive. Long haul travel only a thousand years ago was very possible if you had the coins, and the time, and were well connected. We also know Romans traveled easily from Rome to England 2,000 years ago, both by sea around Spain, and overland via France. Travel was so common that Romans had vacation homes in England, and their luxurious Roman Baths still stand today at Bath. Traces of the Roman 'freeways', Roman ruins in London and Hadrian's Wall also bear testimony to the presence of many thousands of Romans. Their amenities were not built to cater to the 'locals'. 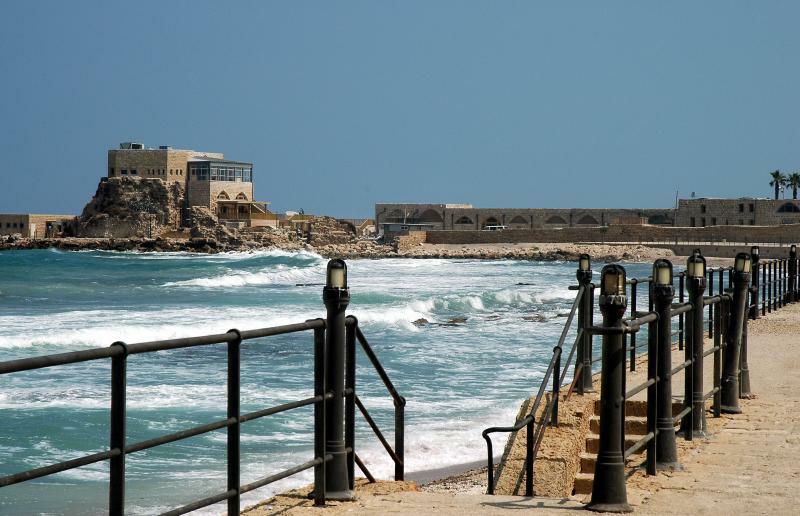 There was also extensive commercial travel between Palestine and England. The man who gave Jesus his tomb (Joseph of Arimathea) was a high ranking member of the Sanhedrin. That's pretty tall cotton, a step above the local Rotary Club. Joseph also owned a fleet of ships under contract to Rome to haul tin and iron ore from SW England to the magnificent harbor at Caesarea, Palestine and elsewhere in the Roman Empire. Some of those mines can still be seen in England, having only recently ceased production. Recent finds of ancient cargo ships based in Palestine show them to be quite large, much larger than the faster Viking cruisers. Want to visit England? Just see the man and buy a ticket on a slow freighter to England. And as a Nephew of Joseph of Arimathea, Jesus most likely did. 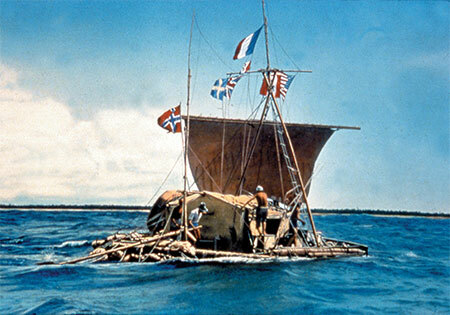 Thor Heyerdahl's Kon-Tiki and RA made transoceanic voyages proving the ancients could have done it. And if they could have done it, we can presume they actually did it. All this means that global travel existed long before the time of Jesus, and the Med and Red and Black seas at least had to be one big jolly trading community during his lifetime. This has profound implications for understanding the geographic extent of Jesus ministry, and those of his Disciples. There is no reason to believe they were confined to the local area by travel restraints. Like most people today, most ancient people were busy scratching out a day to day living. Most people throughout the world never traveled more than a half days walk in any direction. But some people have always had the time and the money to scratch their travel itch for business and pleasure. When merchants and missionaries and tourists replace explorers on a travel route, can new settlers be far behind?